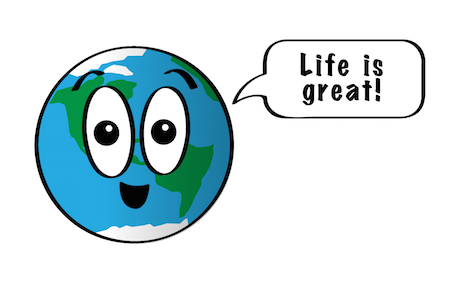 Earth, our home planet, is the only planet in our solar system known to harbor life. All of the things we need to survive are provided under a thin layer of atmosphere that separates us from the uninhabitable void of space. Earth is made up of complex, interactive systems that are often unpredictable. Air, water, land, and life - including humans - combine forces to create a constantly changing world that we are always striving to fully understand. Oceans at least 4 kilometres deep cover nearly 70 percent of Earth's surface. Fresh water exists in the liquid phase only within a narrow temperature span (0 to 100 degrees Celsius). This temperature span is especially narrow when contrasted with the full range of temperatures found within the solar system. 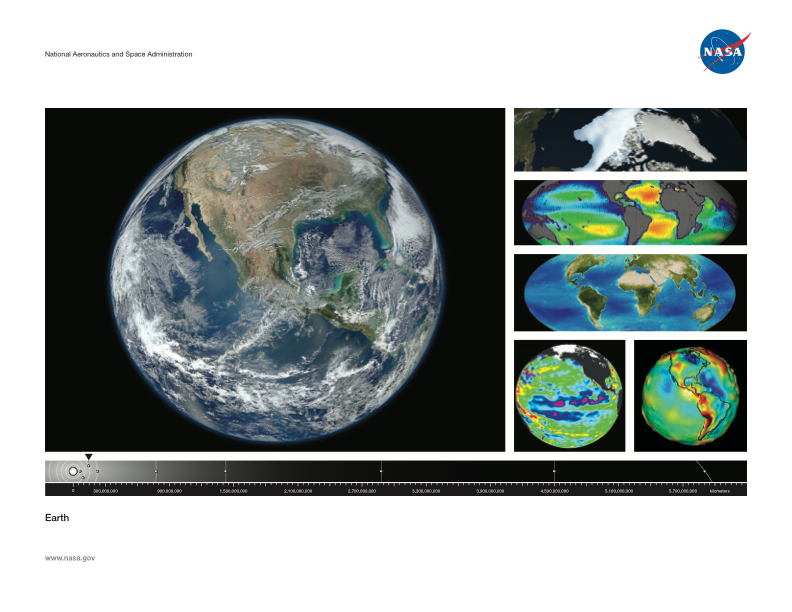 The presence and distribution of water vapor in the atmosphere is responsible for much of Earth's weather. Near the surface, an ocean of air that consists of 78 percent nitrogen, 21 percent oxygen, and 1 percent other ingredients envelops us. This atmosphere affects Earth's long-term climate and short-term local weather; shields us from nearly all harmful radiation coming from the sun; and protects us from meteors as well. Satellites have revealed that the upper atmosphere actually swells by day and contracts by night due to solar activity. Our planet's rapid spin and molten nickel-iron core give rise to a magnetic field, which the solar wind distorts into a teardrop shape. The solar wind is a stream of charged particles continuously ejected from the sun. The magnetic field does not fade off into space, but has definite boundaries. When charged particles from the solar wind become trapped in Earth's magnetic field, they collide with air molecules above our planet's magnetic poles. These air molecules then begin to glow and are known as the aurorae, or the Northern and Southern Lights. Click on the image below to download the Earth lithograph and learn more about this planet.